'Survivor' host Jeff Probst: 'Survivor: Heroes vs. Healers vs. Hustlers' finale is emotional, surprising and riveting -- one of the best ever! Survivor: Heroes vs. Healers vs. Hustlers host Jeff Probst believes next week's Season 35 finale will be a finale to remember. The two-hour finale of Survivor: Heroes vs. Healer vs. Hustlers is set to air Wednesday, December 20 at 8PM ET/PT on CBS, followed by a one-hour reunion special. And Jeff said the ending is going to be "one of the best finales ever," according to Entertainment Weekly. "It's dramatic and emotional and surprising," Jeff added. "So good. You'll be riveted." The finale will begin with five very different castaways remaining -- Mike Zahalsky, a 43-year-old urologist from Parkland, FL; Ben Driebergen, a 34-year-old U.S. Marine from Boise, ID; Devon Pinto, a 23-year-old surf instructor from Solana Beach, CA; Chrissy Hofbeck, a 46-year-old actuary from Lebanon Township, NJ; and Ryan Ulrich, a 23-year-old bellhop from North Arlington, NJ. Mike is the only original Healer left on the Solewa tribe. Chrissy and Ben are both Heroes, while Ryan and Devon are both Hustlers. As of the latest episode, Chrissy, Ryan and Devon had promised each other a Final 3 deal. "This is a very lethal final five. I truly believe each of them has a case, depending who they are sitting next to," Jeff told EW. "That's now always the situation going into our finale." Survivor's $1 million winner will be determined by the jury made up of previously-eliminated castaways from this season. So far, the jury is comprised of Cole Medders, Ashley Nolan, Desi Williams, Lauren Rimmer, and Joe Mena. When asked whom Jeff believes he could beat in the Final 3 out of the five remaining Survivor players, the longtime host admitted, "I hate this question because I don't like the answer. I'm not sure I beat any of them." 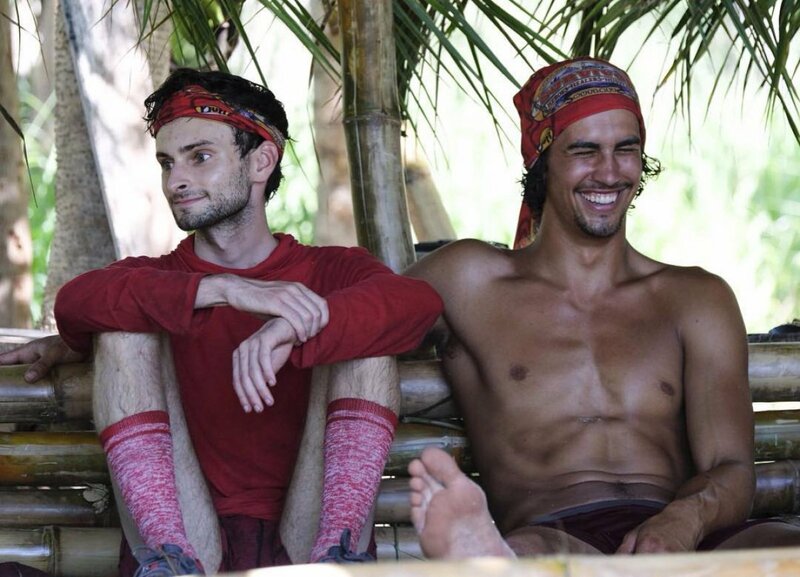 Jeff believes Mike, Ben, Devon, Chrissy and Ryan would each be able to present a great argument to the jury at the Final Tribal Council session. "I think if Dr. Mike gets to the end, he has a pretty strong case of the underdog who did what nobody thought he could. If Ryan gets to the end, his social gameplay and ability to build relationships could be deadly," Jeff explained. "If Ben makes it to the end, he would have a strong argument that he had to do it on his own. If Chrissy gets to the end, she has so many arguments she could make from challenge performance to alliance management to being the only woman and the only mom left in the game." And Jeff said if Devon makes it to the end, the surf instructor could make the case that his fellow castaways had underestimated him throughout the game. "He has a great story of surprising people with his ability to strategize and form strong alliances," Jeff told EW of Devon. "So I'm screwed. I'm the guy with no votes that I don't talk to at the reunion show."